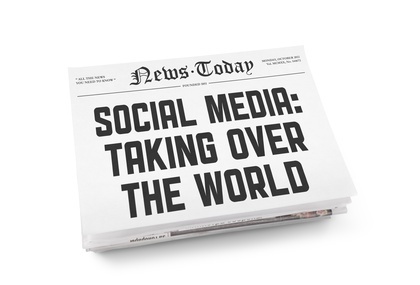 It’s been recently reported that 81% of small and medium-sized businesses use social media for growth. As well as the obvious marketing opportunities, social media also provides businesses with a way to engage in two-way conversations with their customers. These conversations can provide businesses with interesting insights about their audience, however, not all the conversations may be positive. Social media is increasingly being used as a way for customers to contact businesses with queries or complaints. It may sound obvious but creating helpful content that customers can view and reference will go a long way to minimizing the number of queries you receive. For example, create FAQs and online tutorials, then link to these from your social pages. Creating videos on Facebook or linking to your YouTube channel are another way of providing help content to users. If customers have ways to find answers to their questions on their own, it will make the number of queries you have to respond to less. It’s good to be upfront with customers about how frequently social pages are manned and within what time frame they can expect a response. For example, can customers expect a response on weekends? After hours? During business hours? Also, state how long it takes to typically reply to a query – can you guarantee replies within one hour, or will it be longer? Social profiles do require a certain time commitment, so if you you are thinking about creating an online presence think, carefully about how much time you can set aside for them. Even if you cannot man your social profile every hour of every day, being consistently available when you say you will be, and keep to the service levels you’ve stated. This will help to keep your customers’ expectations aligned with what you are delivering. Social media is a two way conversation with your customers. This means it’s important to get the tone of replies just right. Make replies personal and stay away from canned responses that could be sent to or said by anyone. It’s also good to use language that empathizes with customers’ concerns. For example “I do understand…”, “I know how confusing it is…” can go a long way. Be aware that your replies can be seen by other customers and leads. If you respond professionally with a positive and empathetic tone, they are likely to be impressed, instilling confidence in them about your business. Being transparent with customers on social media will improve your credibility and raise customer confidence in your business. Address and reply to complaints that are visible for others to see, either by responding to them directly or by asking customers to contact support in a more personal and direct channel, such as email. Never delete or hide negative comments. Instead, use these to showcase your customer service skills. Being honest in your replies, empathetic in your tone, and explaining why business decisions have been made to earn trust and respect. If you are planning to manage several social media profiles, its worth considering a Social Media management product such as Hootsuite or Sprout Social. Tools such as these will make monitoring multiple networks easier, and will help to identify issues quicker. This in turn will speed up response times and help you to resolve customer queries faster. Tell us about your experiences of dealing with customers publicly on social media. What tools do you use to manage your profiles, and what advice would you give to a business who is thinking about establishing a social media presence?